ATLANTA, Oct. 1, 2018 /PRNewswire/ -- PGi, the world's largest dedicated provider of collaboration solutions, announced today that its board of directors has named Don Joos, a proven leader with over 20 years of experience in the technology industry, as chief executive officer, effective immediately. Mr. Joos succeeds Ted Schrafft who is retiring and has agreed to remain in an advisory role through the end of 2018. 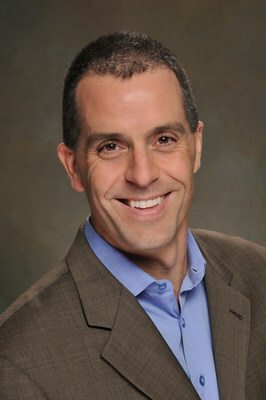 "During his 25-year tenure with PGi, Ted Schrafft has grown and evolved the company from what was once a small teleconferencing division within PGi to the global unified communications and collaboration company that it is today," said Hubert de Pesquidoux, executive chairman, PGi board of directors. "We are appreciative of Ted's contributions and look forward to Don's leadership in this new role. Don and Ted will work closely together to ensure a seamless transition." Mr. Joos stated, "I am honored to be appointed to this role during an exciting time at PGi. My focus will be on driving growth opportunities in logical adjacencies. I look forward to working with the leadership team and the employees to continue to create innovative solutions that help customers solve their business problems." Mr. Schrafft commented, "It has been a privilege to serve PGi for the past 25 years and I remain very excited about the future of the company. Over the years, we have transformed into a more focused, nimble and efficient organization and I know that Don will continue to drive the business forward."